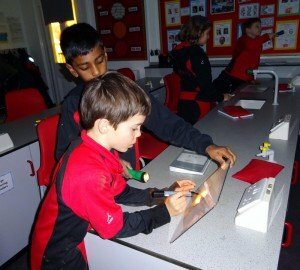 Following the visit to Fairstead House by the Planetarium last week, Years 5 and 6 are very excited about their visit to the National Space Centre, near Leicester, on Monday. Please see below for further, important, details regarding the day, with particular note to the time of departure! 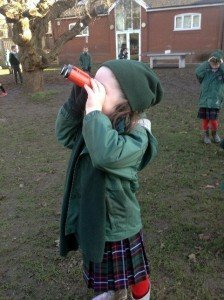 The children in Reception started this week by sharing binoculars and bird feeders with their friends. 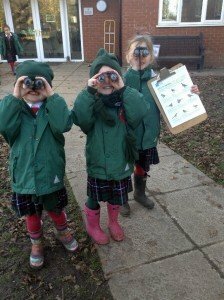 Throughout the school, children really enjoyed dedicating their playtimes to spotting and recording the different species of birds which visited the school grounds. 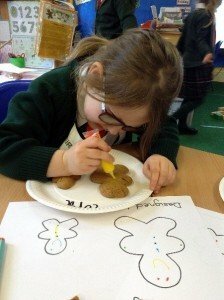 The children were keen to continue with the story of ‘The Gingerbread Man’ and used puppets confidently to re-tell the story. 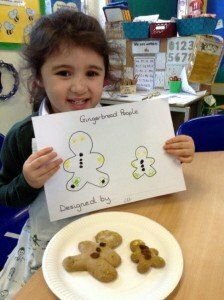 They were thrilled to be joined by our Chef, who showed the children how to make some delicious Gingerbread Men. 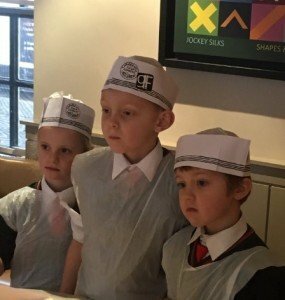 The thought of them escaping from the school oven and running away caused much excitement! 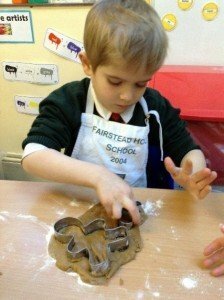 Thankfully, there were no escapees, and the children were able to decorate their gingerbread characters the following day. 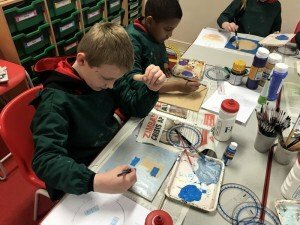 Before embarking on the process of decorating, the children were asked to complete designs to follow. They did a super job! 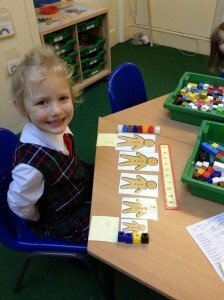 In Maths, the children enjoyed placing Gingerbread Men in order according to their height. They measured the different heights using standard and non-standard units and recorded their results. 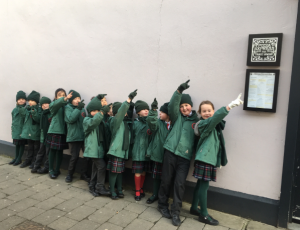 This week, Year 1 set off to Italy! First, they visited the Coliseum in Rome and watched the gladiators fight. They then headed south to Naples to make and eat pizza for lunch which was delicious! Thank you, Chef! 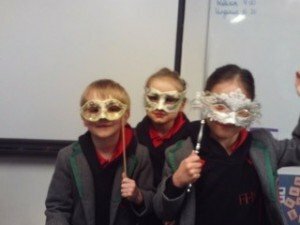 Lastly, the children set off northwards to Venice where they travelled on gondolas and took part in a masked carnival. 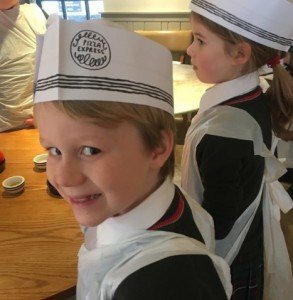 Year 2 thoroughly enjoyed their trip to Pizza Express on Tuesday. 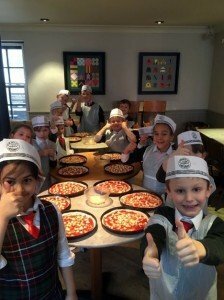 After hearing about the history of the modern day pizza and learning more about the ingredients of the margherita pizza, the children got to watch the Head Chef, Lukasz, toss and shape the dough for the pizza bases. 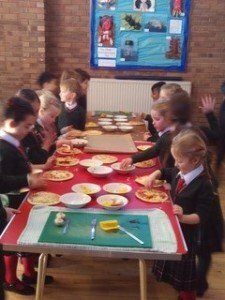 They had great fun making their own pizzas, and even more fun eating them. They were the envy of the school! 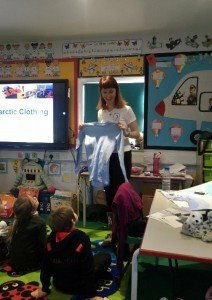 Also this week, Year 2 enjoyed a visit from Ellen Bazely-White, who talked about her time working in Antarctica for the British Antarctic Survey. 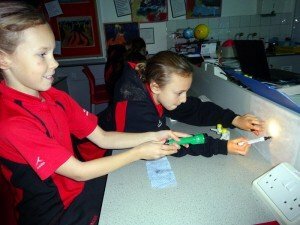 Year 3 have enjoyed their investigation into how their muscles work which concluded their Human Biology topic. 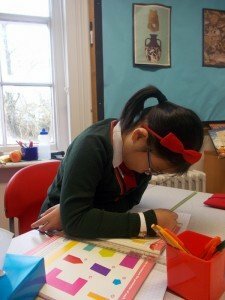 They set up an investigation, made predictions, conducted experiments and then wrote conclusions about how the muscles they would use in the classroom would be different to those used at playtimes! 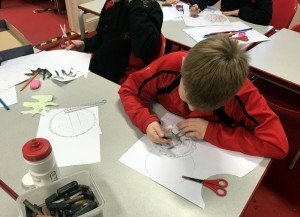 To complement their topic of Machines, Year 4 have looked at Kinetic Art by Marcel Duchamp and Alexander Calder and how the movement is made. 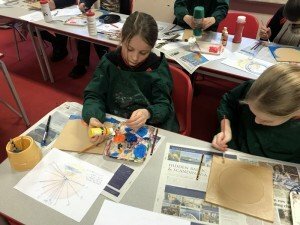 In Art this week, they have created the decorative elements to their own Kinetic Art designs. Some children have designed machine-like features, such as cogs and bolts and others have used wildlife movement as their inspiration. All are coming along very nicely! 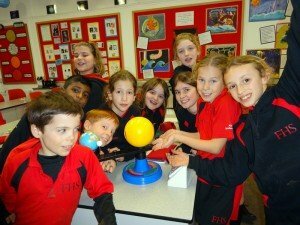 Year 5 have been learning about the Earth, sun, our moon, and the planets of our solar system. This week they investigated the relationship between the Earth, sun and our moon and why we have day, night and the seasons. 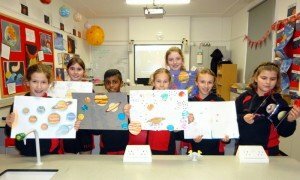 They also shared their lovely posters of the planets which they have created. 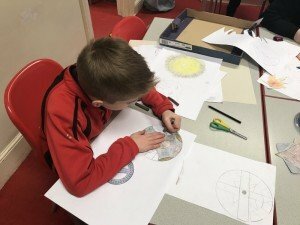 In DT this term, Year 6 are designing and making sundials, to complement their learning of space. 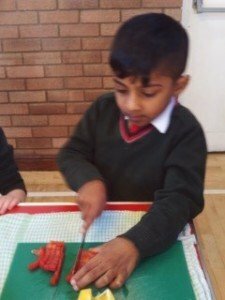 In their last lesson, the children developed their sawing and gluing skills, using great care to follow the safety rules. 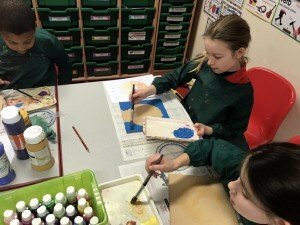 This week, they used acrylics to paint their base colours, following their designs. 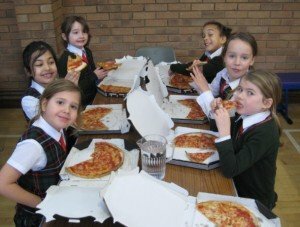 The first Tea-time Concert of the Lent Term took place on Tuesday and was a wonderful occasion. 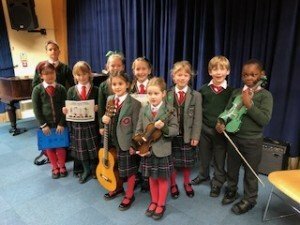 We had a wide variety of performers of all ages, from children just beginning their musical journeys and performing for the first time to seasoned performers preparing for their ABRSM Grade examinations. The audience enjoyed listening to the ukulele, violin, guitar and piano together with some lovely singing. 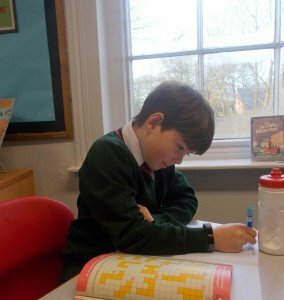 Special mention must go to Sam in Year 6, who is preparing to take his Grade 2 in Rock & Pop and delighted the audition with his rendition of “Twist and Shout” on the electric guitar! Our next concert will be Tuesday 12th February. We look forward to seeing you then! A reminder to all parents of children in Years 4 and 5 that we will be hosting an information evening regarding senior schools. This is an opportunity for parents to find out more about the process of applying to senior schools and to allow us to prepare your children fully for their next school. Refreshments will be served at 5.45pm ready to start at 6.00pm prompt. 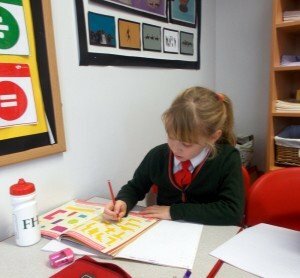 Our first Head’s at Home of this year will be at 3.00pm on Wednesday. Please do join me for a cup of tea in the Performing Arts Centre for an informal chat. 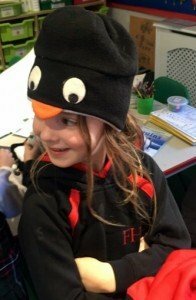 Now that the winter weather is upon us, please make sure that you children come to school with their school uniform hats, scarves and gloves. These may be purchased here. Please note that children will not be permitted to wear non-uniform hats, scarves or gloves. Thank you. 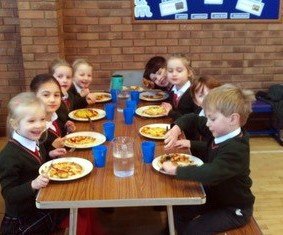 We have been delighted by the popularity of our invitation to parents to visit us for lunch! 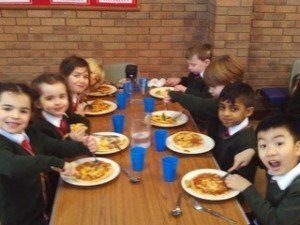 It is wonderful for parents to come and experience their children’s lunchtimes and the children are thrilled to welcome their parents and enjoy lunch with their friends. 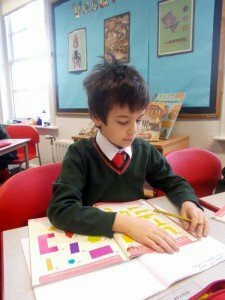 Please note that this term is now fully booked but we are taking bookings for the Summer Term! The children will leave school at 7.15am (owing to the roadworks on the A14) to ensure that we arrive in good time to make the most of this wonderful visit. We aim to be back around 5.30pm but the Office will contact you if we are going to be early or late. 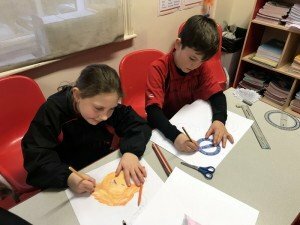 The children will need to wear school uniform and their blazers and coats. As we are leaving so early (and as a special treat!) 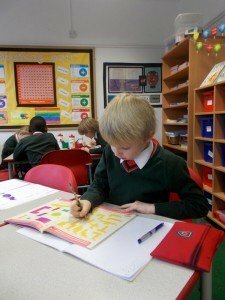 we require children to bring in their own packed lunch and morning snack. Please do not give you children fizzy drinks, sweets, chocolates or, as ever, nuts in any form. The children are allowed to bring electronic devices with ear phones but they will not be allowed internet access. This week, Kindness Cups were won by Catherine in Reception and Eleanor in Year 5. Well done, girls. 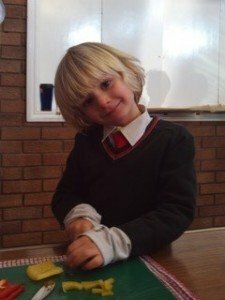 This week, we wish a happy birthday to Edward and Thomas in the Nursery, Nicole in Year 2 and Olly in Year 4.